Biography: With a history of political activism for women’s and student’s rights, Esther impacted decisions while in the Student Administrative Council at the University of Toronto. The St. Michael’s College Student Administrative Council Representative was a contested race where Esther won by a landslide. The Council then elected her Deputy Commissioner of Advertising and Communications; Representative for the Committee on Governance; Representative on the Committee on Counseling, St. Michael’s College; Varsity Board of Director, Sociology Union, just to name a few. With Esther’s experience, she made a difference in people’s lives. One of her special projects at the University of Toronto was in creating a Women’s Centre which would address their needs. Esther is passionate about her country, regularly giving talks to newcomers. Esther is educating and authorities and students on the effects of medical and legal issues of cannabis and driving. Further, Esther publishes articles on criminal law for The Lawyer’s Daily, including: “After R. v. Jordan, Expect More Direct Indictments” (article involves human rights), Glamtellect. “Section 9 of the Canadian Charter of Rights and Freedoms and Arbitrary Stops by the Police” in 2009 and “The Marvels of Green Tea and Cardiovascular Disease,” a medical e-book and the “Fate of Carter Defence Rests with SCC as Court Considers Vested Right” in the Law Times in 2012. Esther may soon be writing or interviewed for the Law Times. Esther is the Chairperson and Organizer of the Children’s Holiday Get Together and other events which increased to 6 times the number of children from the first year and was published in SNAPD along with other articles: “A TRAILBLAZER: SOMEONE WHO MAKES A DIFFERENCE, “TIRELESSLY HELPING PEOPLE IN NIGERIA”, “A CANADIAN MEDICAL WONDER FOR NIGERIA”; and “LEGAL PROJECTS IN NIGERIA AND UNDERPRIVILEGED CHILDREN’S HOLIDAY GET TOGETHER” and will be featured in Panoram Italia shortly. Esther is all over the community, offering talks on anti-bullying, anti-gang and anti-drug activity to children and adolescents. She began volunteering at SickKids from grade 9 and then for a number of years went to the oncology unit giving her Loblaw paychecks of $500 to purchase toys for the children at Christmas as well as offered sweets and sang Christmas music to them on Christmas day. Esther continued this tradition at the Lagos University Teaching Hospital, bringing together doctors and other health care professionals to brighten the children’s days. Dr. Zhang gave Esther the opportunity to do cancer research at SickKids and while she did not partake in research, she reaches out in her community. Esther is an community activist who became involved from the age of six. She was encouraged by her family who are very much a part of the community, including the first Italian Radio Program in Canada. Her father was a radio broadcaster, not only with her family, but with other radio stations and a popular disc jockey. Esther was introduced to the likes of David Devall and politicians noted that she was making a difference in her community. Fond of politics, Esther is politically involved at the municipal, provincial and federal levels, becoming a founder and youth riding president for a politic party in Canada. Esther raised the largest amount and achieved the largest membership and having the best fundraisers in Toronto, Esther was awarded the All Ontario President Award from a major political party. Esther, a proponent of The Canadian Charter of Rights and Freedoms was afforded the opportunity to research and sit on an Ontario precedent setting case, R v. G.C.M. A love for Esther is in being the Chair of the Canadian Human Righters, which began at York University and now is very much in the community offering awareness on the Canadian Charter of Rights and Freedoms and issues which affect Canadians. Esther is a strong advocate and empowers women and supports causes affecting women and children such as being a Cub leader for Scouts Canada. Violence against women was always a concern for Esther and her way of getting the message out was to educate the community and writing papers with His Honour Justice Charles Purvis and others on violence against women. In Esther’s legal work under the authority and supervision of counsel, she never represented a man who had raped a woman or child and always supported women in family matters. Believing and supporting women, Esther volunteered and is a donor for Streethaven at the Crossroads. She is to a large extent involved (Board of Director) with a home for abused young woman between 16-25 years of age to alleviate at-risk, homeless and trafficked women by offering a sanctuary with the result that they attain an education or employment opportunity to become independent and have a successful future, following their dreams. Esther prepared and hosted popular political-legal shows with senior officials for Rogers Communications aired on television for a number of years. She was selected as an intern for the Centre for Strategic and International Studies with promising opportunities on Capitol Hill. The Honourable Justice Wendell P. Gardner accepted her as a clerk for the District of Columbia Courts, Washington, D.C. Esther has given and continues to give educational, medical and legal talks to new immigrants and international students. In 2018, Esther was offered an ambassadorship with the International Ambassador Programme, Queen’s University Belfast. Esther continues to do pro bono legal work, including assisting an older woman and son from being evicted from their home recently. From my understanding, Esther has done a few recent rescues on the TTC with acknowledgement by their supervisors and staff. Esther volunteers at several institutions: SickKids, Holland Bloorview Kids Rehabilitation Hospital, Big Brothers Big Sisters of Toronto, Scouts Canada, Easter Seals and coach’s community soccer and hockey teams. Esther has also volunteered and advocated in support of the elderly with Concerned Friends of Ontario. She has also rescued and cared for indoor and ferral cats, a strong advocate for animal welfare. A believer of the veterans and Canadian Forces, Esther was appointed to the Government Relations of the NATO Association of Canada. As a past occasional teacher for the Toronto Catholic District School Board, Esther not only taught the Canadian Charter of Rights and Freedoms and had legal debates with her grade 6 class, but also organized an elaborate commemoration of Remembrance Day for 1300 students, had all the 1300 children collect hygiene products for the homeless and the Out of Cold programs and got the children to create beautiful Christmas cards with meaningful words for 500 seniors at the Providence Healthcare. With the Yonge and Finch tragedy on April 23, 2018, Esther joined Coast2Coast First Aid and Aquatics, teaching adult and infant CPR and choking to the citizens of Toronto on a very long rainy day at Mel Lastman Square. In the York community, Esther gives out bread in an Outreach program (Oasis) to the homeless and students and mentors international students. Esther volunteers with cancer and heart disease patients at Toronto hospitals and is a member of the Medico-Legal Society. She attained Officer rank with St. John Ambulance and did duties across Toronto from 2003 to 2007. From 2009 to 2016, Esther volunteered with the Personal Disaster Assistance Responder for the Canadian Red Cross Society, achieving a Certificate of Recognition for the Introduction to the Red Cross / Red Crescent Movement Workshop in 2009 and Milestone Award, Canadian Red Cross in 2012 and she was awarded the gold medal for the top fundraiser involving cancer and other research projects in 1999 from the Sunnybrook Hospital. In a teaching capacity for a unique access to justice initiative with the Medico-Legal Society of Toronto project, Esther mentored second and third year law students at Osgoode Hall Law School and the University of Toronto, Faculty of Law, giving a voice to patients through the review of the Health Regulated Professions. Competing with all the undergraduates in the world, Esther had the privilege of doing an internship and consultancy for the United Nations Development Programme, Bureau of Africa in New York and was later promoted to consultant for projects in Luanda, Angola. For the Women’s Conference, Esther prepared research and created materials sent to Beijing, China on social, legal, medical and other areas to support and create awareness of women’s rights, gender disparities and empowerment among policy makers in the African countries and the UNDP, as well as women’s governance initiatives. Esther also prepared reports and presentations to Chiefs at UNDP, Bureau of Africa. Later, Esther created a special publication on socio-psychological-legal perspectives on violence against women and children issues was utilized by NGOs as well as UN personnel and international governments. 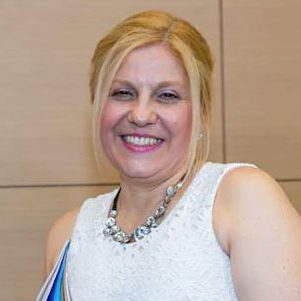 As the Vice President of the West Scarborough Community Legal Services Board, the Chair deferred to Esther to adjudicate a racially sensitive matter and in the end received respect from her board members, clinic employees and Legal Aid Ontario and ultimately, changed the Clinic policy.